Corby Amateur Swimming Club is a friendly but competitive swimming club located at the Corby East Midlands International Pool in Corby, Northamptonshire. 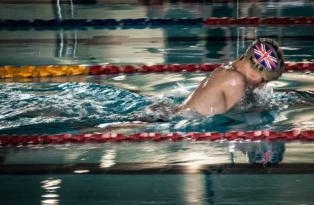 We welcome swimmers of all abilities, from novices (ASA Learn-to-Swim Framework Stage 7 and above) to those who have competed at the highest level. Our coaching team is one of the best qualified in the region and we pride ourselves that our team of volunteers ensures that the club runs smoothly. The club trains on five evenings a week plus offers early morning training sessions. To ensure our swimmers have access to an all encompassing regime, we also have strength and conditioning land training which takes place several nights a week in the pool’s fitness studio. We operate a progressive squad structure that seeks to maximise the performance of all our swimmers. Corby Amateur Swimming Club was formed in 1965 following an inaugural meeting at the old Uppingham Corby Boys Club, a Group of interested people attended and agreed to the formation of a committee to organise and run the Club. With no pool facility in the Town the Club was forced to seek swim time in the neighbouring Towns of Kettering and Market Harborough. Market Harborough were very accommodating and welcomed the new Club allowing it two sessions a week, unfortunately there was no time available at the Kettering pool. The swimmers travelled to Market Harborough via cars and hired buses. In 1967 Corby, at long last, Corby got the pool it desired and needed. The Club were accommodated within the scheduling of the pool sessions and were assured some training time at a home venue. The old pool has underwent number of facelifts, the largest was in 1980. The pool was altered from the then Olympic standard length of 33 and a third yards to the short course 25m standard, and provided a teaching pool and a splash pool with water chute. 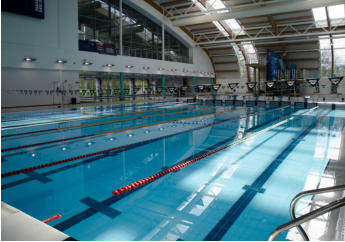 In 2009, the Club moved homes again to the new state-of-the-art Corby East Midlands International Pool facility with the ability to train at both 25m and 50m. With full electronic timing equipment, the Club is able to host both long and short course competitions. 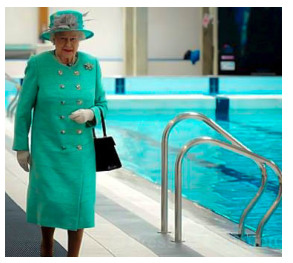 In 2012, as part of her Diamond Jubilee Celebrations, HM Queen Elizabeth visited Corby pool and met members of the club. Corby East Midlands International Swimming Pool is one of the finest pools in the country and we consider ourselves lucky that we can train in such a fabulous pool. The pool has the combined ability to train at both 25m and 50m with full electronic timing equipment and the club is able to host both long and short course competitions, regularly holding County Championships plus Regional and National events. The Club currently has over 150 swimming members and is always looking for recruits. We train five evenings a week at Corby and regularly compete in local and national competitions. We have a great friendly atmosphere and a real desire to win!